There’s something so special about discovering a debut author whose work just clicks for you. It’s that thrill of discovering something new - a hidden gem, an author whose work you’ll want to follow for years to come. 2018 was a hugely exciting year for new crime fiction talent, but there were five debut crime writers whose work stood out to me in particular - and those are the authors whose work you will find in this list! The authors featured in this list write in very different crime fiction spaces, but their work has one very important thing in common: it’s exceptional. From a harrowing coming-of-age story to a Scandinavian domestic drama to a modern take on a classic procedural and much more, this list highlights the expansive, elastic quality of the crime fiction genre—and proves that women are leading the charge across the board. I can’t wait to see what these talented writers will do next. In no particular order (because I loved them all! ), let’s dive in to my picks for Best Debut Crime Novels of 2018. Cross a coming of age story with a dose of urban legend and a touch of Stephen King, and you’ve got CJ Tudor’s exceptional debut THE CHALK MAN. Every element of this story hums with originality, and that’s exactly what makes it such an irresistible read. In THE CHALK MAN, Tudor brings to life the anxieties and fears of childhood by asking what would happen if the game a group of neighborhood friends liked to play one day led them down a very dark path—and what would happen if that same darkness came back to haunt them in adulthood, too. When I interviewed C.J. Tudor about her book prior to its publication, she shared with me her desire for her book to shine a light on just how scary a time childhood really is - and it’s safe to say she succeeded. From friend group dynamics and dealing with bullies to the secret (and often quite creepy) games children play, THE CHALK MAN taps into real-life anxieties to create a story worthy of becoming an urban legend itself. Part dark coming of age story, part psychological thriller, this outstanding debut will be a must-read for fans of Stephen King, Ruth Ware, and Liz Nugent—a bit of an eclectic blend, perhaps, but an appropriate illustration of the many facets that will make this debut so widely-appealing. Tudor's exceptional debut is a gripping blend of traumas big and small, imagined and real—a layered suspense story that leads readers down the rabbit hole of horrors that follow a young boy into adulthood. Tense, immersive, and masterfully plotted, THE CHALK MAN delivers a read that's both on-trend and wickedly original. There’s nothing like a great police procedural. It’s a timeless category of crime novel, and it’s one that author Caz Frear successfully modernizes in her impressive crime debut, SWEET LITTLE LIES. Following a London police officer whose personal life collides with her professional life to disastrous end, this procedural delivers the best of both worlds for its readers. On the one hand, it features the masterful plotting and slow-burning, immersive pacing of a classic procedural; on the other hand, it centers around a relatable and decidedly modern female protagonist, and incorporates elements of psychological suspense into its central mystery, too. Frear writes with confidence and precision, seamlessly blending timely themes with timeless procedural structure in this outstanding series launch. There’s something about the tried-and-true police procedural that always keeps me coming back for more—and finding an author who can write a police procedural in as fresh, modern a way as can Caz Frear is a genuine treat. SWEET LITTLE LIES follows a policewoman in London whose personal life collides with her work in a dark and dangerous way. Cat Kinsella is called to the scene of a crime: the body of a young woman has been found not far from the pub that her estranged father still runs. Things become stranger still when Cat receives a mysterious call linking this murder to the disappearance of a young woman in Ireland years prior—a young woman whom Cat and her family saw just days before she went missing. Cat had long suspected that her father knew more about the young woman’s disappearance than he admitted… and her latest work assignment will now give her a new opportunity to investigate her own past. SWEET LITTLE LIES is an astonishingly assured debut; Cat Kinsella is a fantastic protagonist, and readers will love the complexity and precision of plotting Caz Frear puts forth in this mystery. With her first suspense novel, Frear has established herself as an author to watch - I have no doubt we’ll be hearing of Frear’s work for years to come. Scandinavian crime fiction meets domestic suspense in Alex Dahl’s gripping debut THE BOY AT THE DOOR. If you’re a reader who looks for twisty, addictive stories about the inner workings of (messed up) relationships and families, this one’s for you. THE BOY AT THE DOOR begins with a simple premise: a woman is picking her children up from the local pool when she notices a young boy who doesn’t appear to have any family there to bring him home. When it becomes clear that no one is, in fact, coming for this child, she offers to take him home with her while she contacts the authorities… but this one simple decision proves to have irreversible consequences for the life she knows. I expected this book to be engrossing and binge-worthy, which it absolutely was. What I didn’t expect was for THE BOY AT THE DOOR to have such a sharp edge to it, too. Author Alex Dahl intelligently skewers the pressures and expectations placed on women, mining the chasm between how women are expected to act and how they actually feel. THE BOY AT THE DOOR isn’t your ordinary “fluffy” domestic thriller; this book gets dark, and it does so in an intelligent and relevant way. As an avid reader of Nordic Noir, I was fascinated by the concept of a psychological suspense story set against a Nordic backdrop; I couldn’t wait to see how Dahl would balance these two often extremely different styles of crime writing. What I discovered in THE BOY AT THE DOOR well exceeded my expectations. A binge-worthy story of suspense with dark and weighty undercurrents, Dahl’s first novel strikes an excellent balance between the melancholy and gloom of Nordic crime and the breezy pacing of your favorite beach read. Despite its well-deserved “binge-read” status, THE BOY AT THE DOOR tackles genuinely difficult themes: most prominently, addiction and the pressures of motherhood take center stage here. It’s a winning combination, and, set against the atmospheric and picturesque backdrop of Scandinavia, Dahl’s tense and menacing story of familial suspense is a summer standout. Add this to your summer reading list and set aside a weekend to tear through its addictive and taut interpersonal mystery. From cover to content, Christine Mangan’s TANGERINE is a knockout. This book reads like the plot of your next favorite movie. Set in 1950’s Morocco, this whip-smart story of psychological suspense explores the fine line between friendship and obsession. Following two young women as their paths cross, drift apart, and cross again, TANGERINE sets its protagonists on a collision course, and invites readers to pull up a seat and watch as the wreckage unfolds. Mangan’s writing is confident and vivid, drawing readers into the atmosphere of a time and place so unlike anything I, for one, have ever experienced. Tangier becomes a character unto itself here, and the interplay between the protagonists and their location is an essential element of this book’s appeal. TANGERINE is humming with life and energy, and it’s also claustrophobic and paranoid—and somehow, the seemingly contradictory elements of this story all work in unison to create a thoroughly immersive and utterly unique read. And let’s not forget the sinister relationship between our story’s two female protagonists, either—the darkness found in that relationship is the thread that ties this brilliant story together. This impeccably delivered suspense novel sets a plot worthy of Patricia Highsmith against the backdrop of dazzling, almost larger-than-life 1950’s Morocco. Maddening, gripping, enchanting—I’m at risk of running out of adjectives to describe just how wholly impressive this debut is. Come for TANGERINE’s stunning package and superb early praise; stay for its razor-sharp portrayal of obsession and manipulation, set against cinematic scenery. It’s no surprise that film rights for this novel have already been picked up by George Clooney’s Smokehouse Pictures—TANGERINE is built for the big screen, from its grand locale to its hypnotic suspense. In a story humming with interpersonal tension and simmering with the heat and haze of Morocco, Mangan weaves an outstanding and transportive thriller that will delight fans of Patricia Highsmith, Gillian Flynn, and Alfred Hitchcock; yes, really, this book is that good. Frankly, if Christine Mangan isn’t a rising literary star, I just don’t know who is. With her English-language debut THE GOOD SON, You-jeong Jeong - the author known as “South Korea’s Stephen King” - finally arrives in the US… and what an arrival it is. This slim little psychological thriller packs a big punch. It starts with a simple premise: a young man wakes up drenched in blood, unable to recall anything about the night before. To make matters worse, he discovers the body of his mother in his home, and now must try to puzzle together what really happened before the police accuse him of this hideous crime. Now, if you’ve read a decent number of crime novels, this won’t be the first time you encounter a psychological thriller centering around memory loss—but I can promise you, you won’t have read a psychological thriller quite like this one. With unflinching brutality and an almost clinical detachment from the gore that drives this story forward, You-jeong Jeong draws her readers down the rabbit hole with her protagonist. There will be lots of blood. 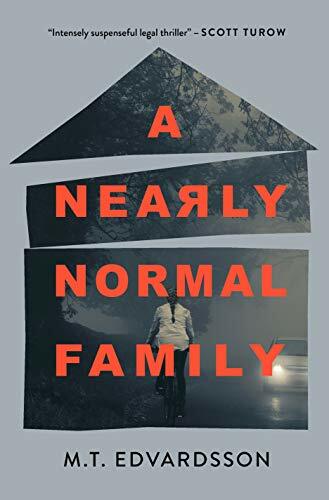 But to make things even better, you can also expect for the author to serve up a fascinating and harrowing examination of familial obligation and mental health in this thriller, too. THE GOOD SON will shock with blood and guts as much as it will delight with originality and unpredictability. … Within this tense and taut journey, readers will discover a razor-sharp dive into familial relationships and the bonds that tie mother to child and sibling to sibling. Almost as riveting as Jeong’s portrayal of the psychology of her protagonist is her exploration of the tensions that exist in his family as a whole. The relationship between Yu-jin and his mother becomes the driving force behind this blood-soaked mystery; its dark corners are as chilling as the most violent scenes this story delivers. It’s rare to find a crime book that portrays the complexities of family as well as THE GOOD SON does, the authenticity of Jeong’s writing on the subject elevating her book from a purely entertaining read to a genuinely thought-provoking one. There are subtleties and intricacies to this relationship that will keep readers turning pages furiously, desperate to understand the true motivations behind each player’s often quite inexplicable treatment of the others. And the ultimate explanation(s) provided? They're jaw-dropping, stunning revelations that tie together the complexities of Yu-jin's family life to brilliant end.